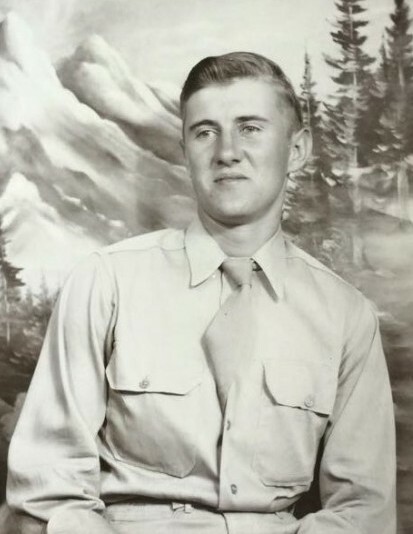 Obituary for Irus Bliss | Wellman Funeral Homes, Inc.
Irus Bliss, age 91 of Orient, passed away February 10, 2019 peacefully and surrounded by love at his home. He was born on July 29, 1927, the son of Irus and Ellen (Sheldon) Bliss. Irus was a proud U.S. Army Veteran and retiree of General Motors. He was preceded in death by his parents; sister Louise (Stewart) Armington and brothers Charles (Virginia) and Sheldon Bliss. His joyful spirit will continue to shine through his loving wife of 69 years, Marian (Conley) Bliss; daughter Melanie and her husband John Valone; granddaughter Kyleen Bliss Valone; brother-in-law Jack Conley and special family members Mark, Lisa and Kayle Langford. He was a true inspiration to so many, including his loving nieces, nephews and dear friends. All who were honored to have known Irus are welcome to join his family at the Wellman Funeral Home (1455 N. Court St. Circleville, OH) to celebrate this wonderful man’s life. Visitation will be on Friday, February 15 from 4:00-8:00 p.m. and Funeral on Saturday, February 16 at 11 a.m. with Pastor Laura Clark officiating. Internment will follow at the Muhlenberg Township Cemetery (16905 London Rd. Orient, OH). Online condolences may be made at www.wellmanfuneralhomes.com. Memorial contributions may be made to the Derby United Methodist Church (11792 London Rd. Derby, OH) where on October 1, 1949 Irus and Marian began their amazing journey from wedded to eternal Bliss.